Here you will discover the meaning of the mirror hour 13:13. You will also learn to understand the message behind this double hour through an interpretation of the guardian angels, as well as through numerology and the Tarot of Marseilles. If you see 13:13 regularly in your daily life, then that means that your subconscious is trying to send you an important message. Here we are going to give you an interpretation of this message with the help of the angels and the divinatory arts. The number 13 is the source of many legends and superstitions. It was following the Last Supper when 12 people were sitting at the table with Jesus Christ that he was led to be betrayed by Judas, guest number 13. And let’s not forget the massacre of the Knights Templar on Friday 13th October 1307. 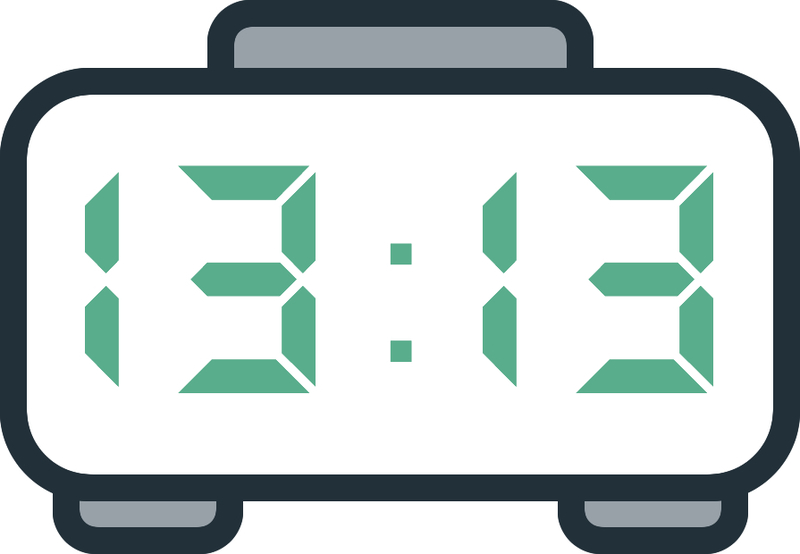 Is the hour 13:13 synonymous with fortune or misfortune? Let's find out its meaning right now! Seeing the mirror hour 13:13 indicates that your guardian angel is aware of your need for a profound change in your life, and that it’s time to get to work. This change could affect all areas of your life since the number 13 is about radical transformation. The number is beside you during this important phase of your life. You are now in a cycle of highs and lows, but it will help you to escape this situation. It will guide you through this period of inner change and help you to put an end to a negative cycle. If you feel that you are not moving forwards and that you’re finding it difficult to reach your objectives, this is definitely because you need to revisit some of your choices. It is occasionally good in our lives to take part in some introspection, as this allows us to break new grounds. It also helps us to work on finding fulfillment and balance. You have probably heard the expression: “In a former life”. That is the significance of 13:13, symbol of death and resurrection. You are going to turn the tables, change your habits, and take a new direction on your life path. Your guardian angel will help you on this journey. Get ready because this is going to allow you to reach your potential, which may be shocking for some… starting with yourself! The guardian angel corresponding with 13:13 is Yeiazel, whose period of influence is between 13:00 and 13:20. He is the symbol of mutual support! 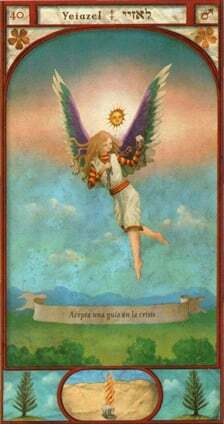 This Angel is a great source of inspiration in you which will allow you to explore a creative field and excel in it. He is with you when you are sad, especially if this is due to romantic matters. Don’t hesitate to pray to him if you want to find peace and serenity on an emotional level. He is the perfect ally for escaping a toxic relationship. What does 13:13 mean in Numerology? 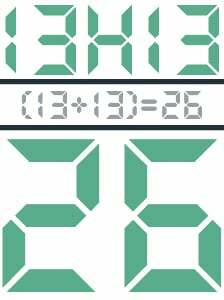 The total value of the mirror hour 13:13 is 26. This number is clear indication that your deepest desire will be answered, and sooner than you would have thought. Whether it be in love, work, or money, you are going to receive a positive answer even if you thought one impossible! 26 is synonymous with power and success on the professional and financial level. You are a person anchored in reality which allows you to avoid many traps. This also helps you to lead a team and to manage important projects, since you are there for people and you understand the issues of your coworkers. 26 indicates a transfer, a journey, or even a move. Here we see the meaning behind 13:13: “movement”. Your sense of efficiency will be your greatest asset in managing these movements. If you want to work abroad, it seems that this could certainly be in the cards! Family is very important to you, one could even say that it is one of your strengths. Your talent for diplomacy will help you to resolve certain conflicts between those close to you. Communication is important for strengthening ties with others and you have this skill down to an art! 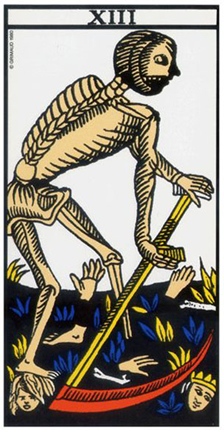 The Tarot card corresponding with 13:13 is Death, also known as the Arcanum with no name. It represents transformation. It cautions you not to delay when it comes to initiating the changes you need to make things better or to improve your situation. It also means the end of a cycle. When this Arcanum appears during a reading, an uninitiated person will notice that this card doesn’t have a name and the Death symbolism can leave a negative impression for some. However in its positive sense this card means a new beginning in terms of an accomplishment or a development. If you are in a couple, your relationship is going to move towards something new. At work you are going to gain knowledge and training in a new job. Unfortunately the position of Death in a reading can also signify the end of a relationship, be it romantic, professional, or with a friend. In a larger sense it is telling you that change is on its way, and it could be a radical one! Once again it all depends on the Arcana to either side of it which help to situate it in a context. The Arcanum with no name symbolizes a break-up or the end of a romantic relationship. Sometimes the death of a love affair can allow a new life to be born, in which we can find the person who is truly right for us. On the professional level it indicates that you will have to change employment. Take the initiative or risk finding yourself unemployed after a dismissal. Finally, if this card appears in a reading connected with money, it indicates loss and unforeseen circumstances. It strongly advises that you be careful with your budget. Any comment on the 13:13 mirror hour? Thank you for the information. It gives me a sense of knowing that my life is headed for change. I certainly needed change and have been struggling to set myself on a new direction in life which is more fulfilling and abundant. Now I know the angels are with me and guiding me. Here is my story. I saw the number 13:13 four days ago. I had played lotto and asked the Universe for a sign if I was going to win. I decided that I should attract the number 13 as a sign because I believed the jackpot was R13million. That same afternoon I was prompted to look at my cell and there it was 13:13. I got very anxious and I guess also struggling to believe that I would win, even if I badly wanted to. I didnt win the lotto and decided that maybe I should play again. I am still waiting for the draw tonight.